MILAN/SHANGHAI (Bloomberg) -- Xu Lei, a 31-year-old investment manager, rarely sees Fiat cars on the streets of Shanghai. No wonder, given that the Italian carmaker sold fewer than 1,000 vehicles last year in the world's biggest auto market. "Most of my friends would consider German or American brands when choosing to buy a car," said Xu, a self-described lover of Italian design who has his eye on a Fiat but for now drives a Citroen. Fiat CEO Sergio Marchionne kicked off Fiat's third attempt at winning over buyers such as Xu when he presented the Viaggio car at the Beijing auto show this week. The sedan was developed specifically for local tastes and will be built at the carmaker's new factory in the country. Marchionne needs Chinese growth to counter losses in Europe and reduce dependence on the United States and Brazil for profit. Fiat's belated return to the country after more than a decade of failed efforts may be too late to meet its own mid-term target. 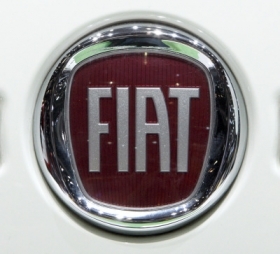 Fiat and Chrysler together may sell about 200,000 cars in 2014 in China, according to market researcher IHS Automotive. The company's goal for that year is 300,000. Fiat-Chrysler lags far behind competitors in China, selling a combined 35,000 cars in the country last year, according to IHS data. The Italian brand delivered just 991 vehicles in China in 2011. In comparison, General Motors Co., the biggest foreign automaker in the country, sold 2.55 million vehicles last year while Volkswagen sold 2.26 million. "It's going to be hard for Marchionne to catch up with rivals in China as Fiat is arriving late when major players have already established brand equity and gained market share," said Giuliano Noci, vice rector for the China campus of the Milan Polytechnic. Fiat will try to crack away at the dominance of rivals by initially building as many as 170,000 Viaggios a year at a new plant in Hunan province in a joint venture with Guangzhou Automobile Co., Marchionne said this month. Production of the four-door Viaggio, which means "voyage" in Italian, will start by the end of June, with deliveries beginning in the third quarter. Fiat is able to expand production to 300,000 cars a year with a minimum investment, Marchionne said. The CEO, who is also Chrysler Group CEO, also plans to build Jeep models in the country starting as early as next year. Marchionne, 59, is expanding in Asia, where Fiat-Chrysler earned just 5 percent of profit in 2011, as part of a strategy to forge a global carmaker out of the two regional companies. The CEO needs China to reach a goal of more than 100 billion euros ($132 billion) in revenue by 2014. The two carmakers are targeting sales exceeding 77 billion euros this year. The small sedan market is "the biggest segment in the country, so it makes sense to enter through the big door," Olivier Francois, head of the Fiat brand, said on Monday in an interview in Beijing. "We have to find our own territory, our own voice" in the Chinese market. The Viaggio, which will have the Chinese name "Fei Xiang" meaning flying, is the first car built in China by the Italian carmaker since 2007, when it ended an eight-year alliance with Nanjing Automobile Group. After that, Fiat had a partnership with Chery Automobile, which fell apart after two years. The Italian carmaker aims to more than double its dealers in the country to as many as 200 by the end of 2013, Jack Cheng, general manager of GAC Fiat Automobile Co. said in an interview last week. Fiat GAC targets 100,000 vehicle sales next year, Cheng said. "Fiat is not yet well known in the country, like Audi, which everybody has heard of," said William Chen, executive director of Zoton Holdings Group, who just signed up to sell Fiat cars and is in the process of getting authorization to sell Chrysler's Jeep brand as well. Zoton Holdings has 30 dealers in coastal areas such as Zhejiang province and Shanghai selling Audi, Infiniti and Jaguar brand cars. China's passenger-car sales rose 4.5 percent in March. The rebound may ease concern that a slump in auto sales in January and February, the worst two-month start to a year since 2005, will deepen and threaten foreign automakers from GM to Volkswagen that depend on the world's biggest vehicle market to help make up for declining demand in Europe. "China is looked at as the El Dorado of the automotive industry and everybody wants to pick up a nugget," Daimler CEO Dieter Zetsche said last week in Chennai, India. "China is a growth market and you have to be present if you want to be a significant player in the global automotive market." Last year, Daimler's Mercedes-Benz sales in China jumped to 223,000, from 31,000 in 2007. Ford, also playing catch up in China with GM and VW, announced plans last week to build a $760 million assembly plant in Hangzhou that will double its Chinese output to 1.2 million vehicles annually. 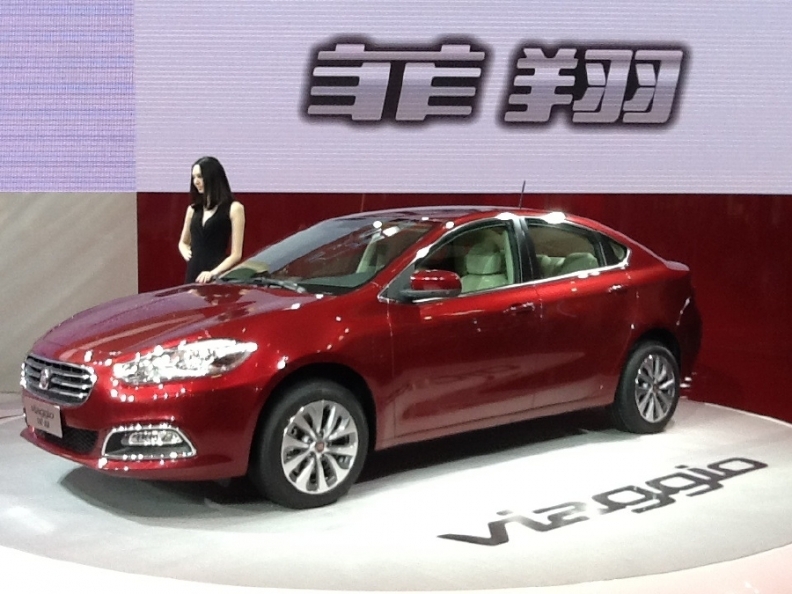 Fiat will build 170,000 Viaggios a year in a new Chinese plant. Volkswagen's board last week approved building a new assembly line in western China to further fuel expansion in the country. "Fiat missed the golden years of China's auto market expansion and now it's hard to shake market leaders which have already established themselves in China," said Jenny Gu, an analyst at LMC Automotive based in Shanghai. Xu, the Citroen-driving investment manager in Shanghai, may soon do his bit to help Fiat catch up. "If Fiat lowers the cost of buying and replacing their components, I'd definitely buy the car," Xu said. "They need to localize."